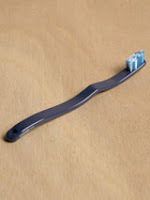 Brushing our teeth is a daily routine to which we are not wasting a lot of thought. But that doesn't mean we can't do it in style. If you think I'm crazy now then take a look at the cool Yumaki toothbrushes that are available at LN-CC and you'll probably agree with me. Yumaki does not make empty promises about the result and your teeth won't get any whiter if you're brushing them with one of their toothbrushes. 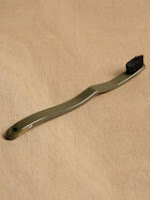 They are just simple, ergonomic high-quality toothbrushes in good quality like recommended by most dentists that do what they're supposed to do: Brush your teeth. 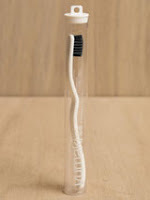 The difference to other toothbrushes is that the ones from Yumaki look really stylish. And what speaks against a little more style in our necessary daily procedure?